Easter is a time when we often will have family and friends over, maybe for drinks or a full blown Sunday Roast. It's nice to the scene with candlelight and fragrance your home with seasonal scents. If you're familiar with my blog you'll know how much I love candles. 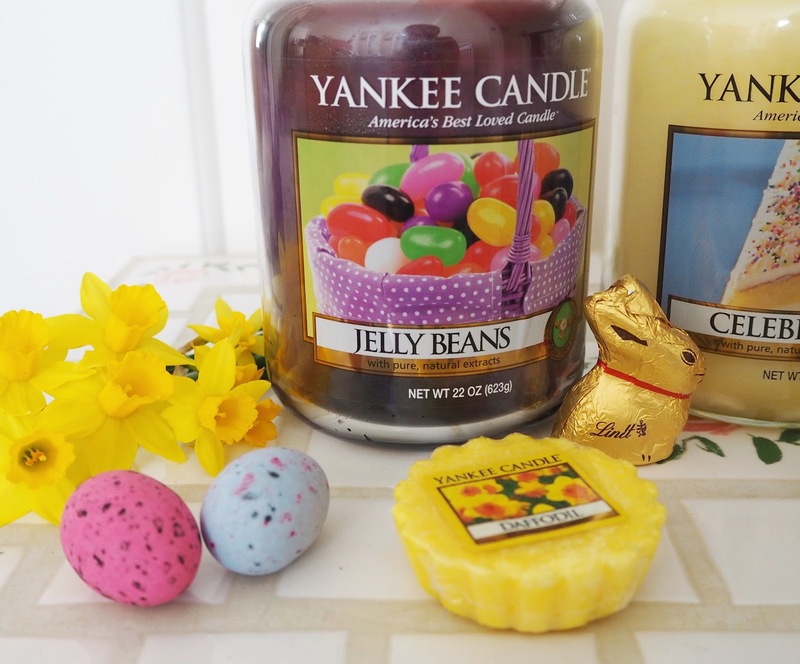 Here are some of my favourites to burn and display at Easter time! I hope they give you some inspiration. Jelly Bean: "A colourful, fun childhood treat you never outgrow … bursting with the scent of sugary sweet fruits." 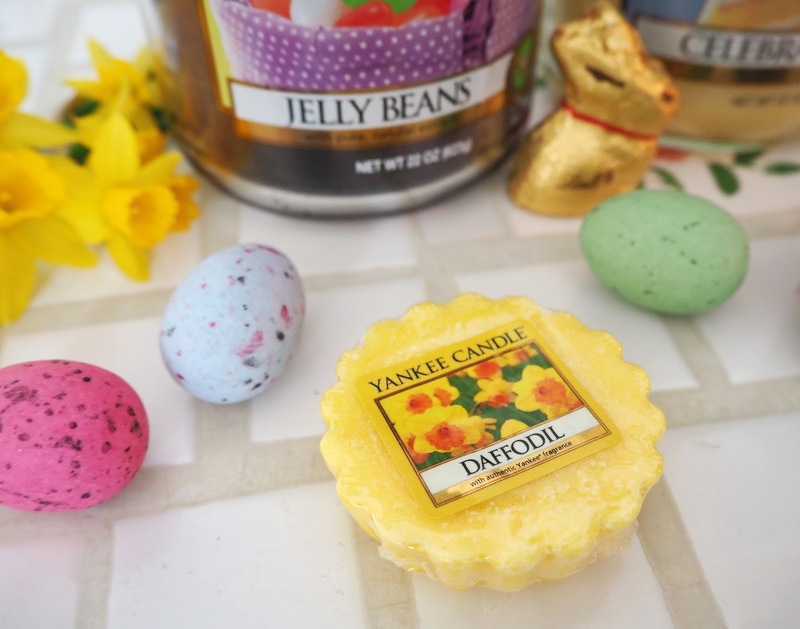 This one was first brought out for Easter last year, you can get it in a large jar and this year as a wax melt in one of their gift sets. I love the sweet fruitness of this one, so delicious! Celebrate: "So many of life’s important moments with friends and family are celebrated with creamy, frosted cake. This cheerful spring scent is lifted with subtle lemon notes for a sweet yet fresh finish." Oh my goodness this scent is just to die for! It smells just like a zesty lemon drizzle cake with a touch of creamy icing! It's not one that's made especially for Easter but it is an exclusive and only comes in large jar format so grab it whilst it's still around. Bunny Cake: "A delicious way to hop into spring ... a sweet treat of sugary coconut, creamy vanilla, and bright citrus." 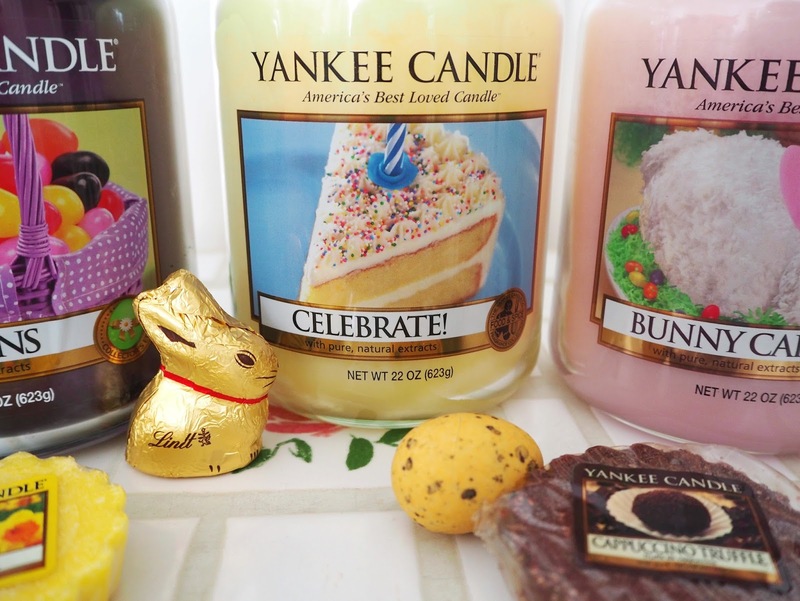 Yankee have brought this one out for Easter the last few years and it obvious why it's so popular. 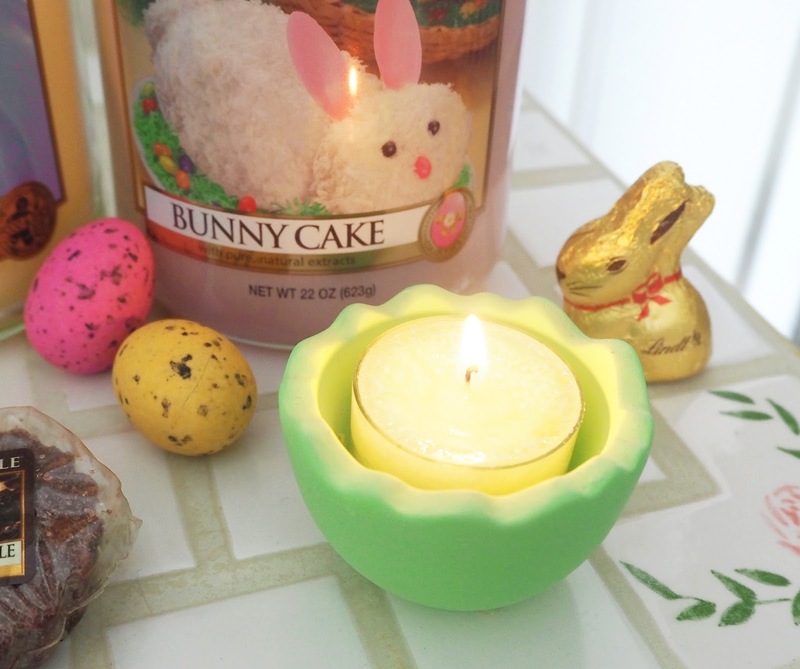 The light sugary cake scent is beautiful to burn all day long plus it has the added bonus of the adorable bunny photo on the jar! Daffodil: "Sun-drenched and fanciful. . . a lovely perfume of sweet blooms with a bright note of lemony citrus." To me Daffodil's symbolise Spring and Easter time. If you're not into the sweet foodie scents then this is a great alternative option. This is now a rare and retired fragrance unfortunately but you can still pick it up if you hunt (it is Easter after all! ), try eBay. 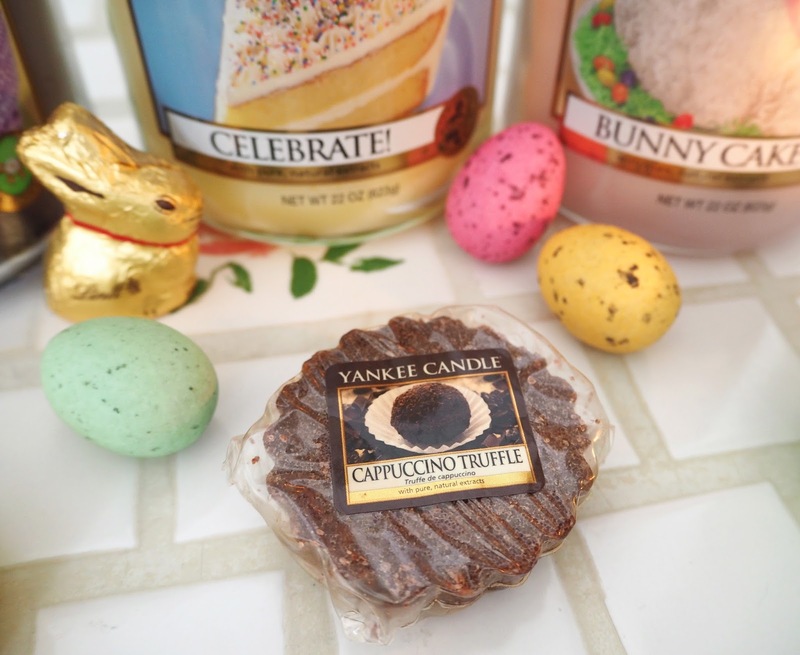 Cappuccino Truffle: "An irresistible café favourite… the decadent pairing of bold, roasted coffee and luscious, velvety chocolate.." This one is in Yankee's regular range and so is available all year round but I thought it would be perfect to burn over Easter. The rich chocolatey fragrance is a great calorie-free (and gulit free) way to indulge over the Easter period - yum! My Green Easter Basket Tea Light Holder is now on sale at Yankee Scents 4U so pick up a couple of these cuties for your Easter table. 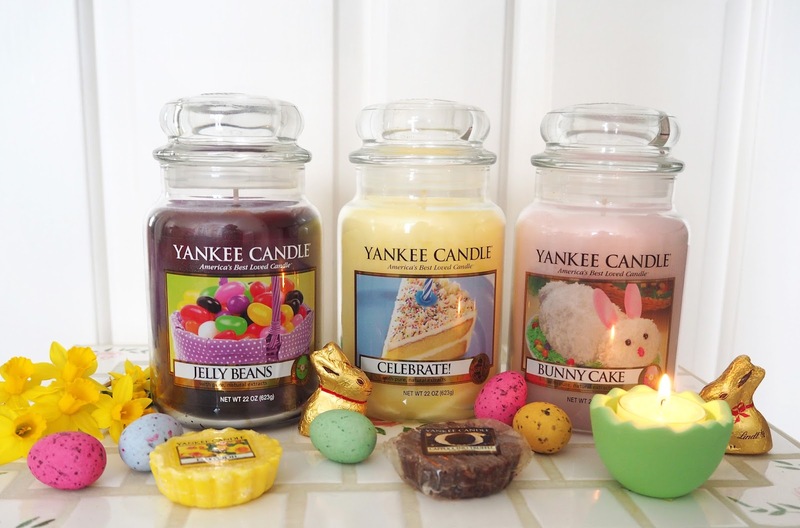 What are your favourite fragrances/candles to burn at Easter time? I would love some new recommendations! 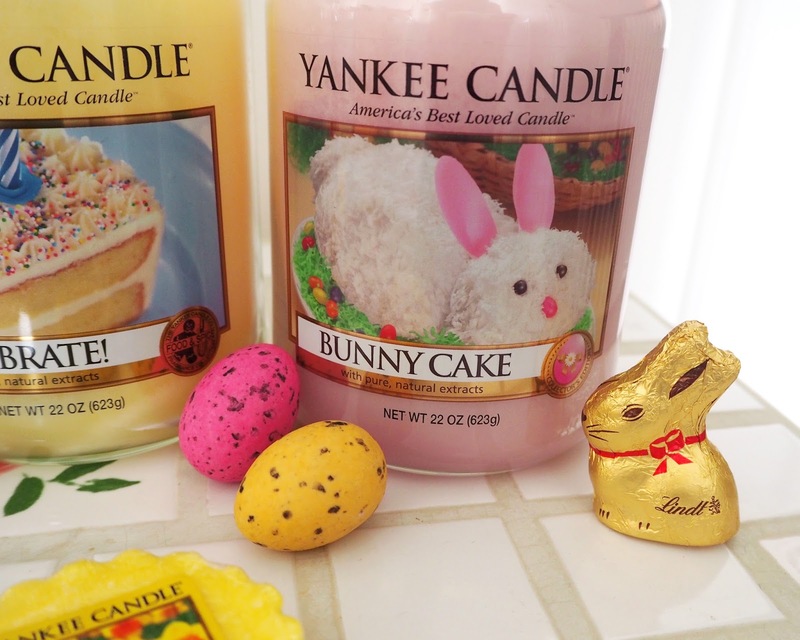 Celebrate and bunny cake are some of my all time favourite scents. They smell so blummin' delicious. I may have to have a little Yankee candle splurge now!